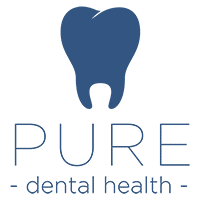 Lucy has been a valued member of the Pure team for over 6 years, firstly as our receptionist and most recently progressing to the role of Practice Administrator. Within this time, Lucy has gained a wealth of knowledge in dentistry to help assist patients throughout their patient journey. Although her role has varied, Lucy will often be there to greet patients and offer support whether it is to listen to dental concerns and phobias or organising their treatment. Gained a degree at Canterbury Christ Church University and l’Universite Catholique de Lille, in French and American Studies. Started as a dental receptionist to attend to patients on the phone and in person. Co-ordinate and organise appointments and administration to facilitate the efficient running of the dental office. Started the role of Practice Administrator which includes scheduling appointments, accounting, managing patients' records, handling insurance claims, and, developing a marketing plan for a dental office. Gained advanced award in dental reception with the DBA. Lucy also works with our patients to find a suitable care package to ensure that they receive the care they need in a cost effective manner. Having grown up in Cornwall, Lucy studied and gained a degree at Canterbury Christ Church University and l’Universite Catholique de Lille, in French and American Studies. Lucy has always had a passion for travelling and exploring different cultures and after 3 intense years in Canterbury, backpacked alone around New Zealand before settling again in Cornwall. These days Lucy still loves to explore with husband Grant and see’s their National Trust Passes as essential to their travels! She also enjoys exploring new music at gigs, new culture such as Native American, and new recipes – which the team at Pure Dental Health definitely appreciate. Lucy Joined Pure in 2010, and is a fantastic addition to the Pure Dental Team.